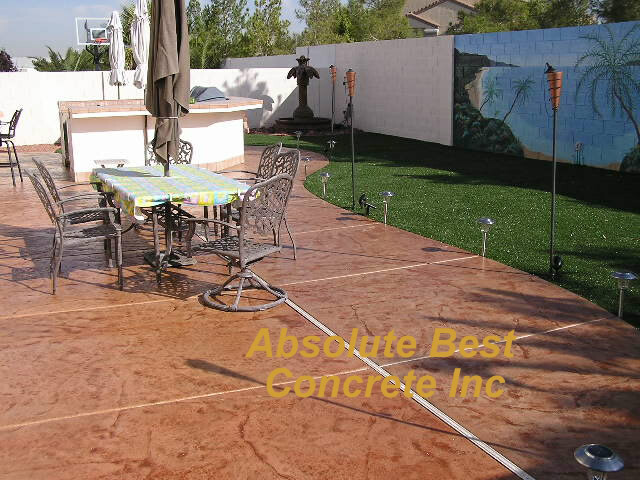 Two Color Stamped Concrete Starting at $15.75 a Square Foot. PLEASE NOTE: When using a stamp pattern with color there are different variations of the same color which will occur when the concrete is fully dried. A sealer is applied after it is stamped which will enhance these variations and protect your color from fading. We recommend a new coat of sealer once a year to maintain and protect the color.